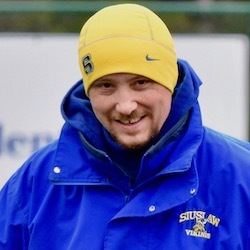 Siuslaw softball coach Sean O'Mara leads the Lady Vikings into league play Tuesday, likely clear-eyed and an umbrella at the ready. "It looks like weather is going to have something to say about the current league schedule, with rainouts a strong possibility right at the beginning," O'Mara said Monday. "It may be the kind of season where each clear day we end up playing a game to get them all in. Sure seems to be a wet spring so far." First pitch is 5 p.m. for the Sky-Em League opener at Marist Catholic in Eugene. 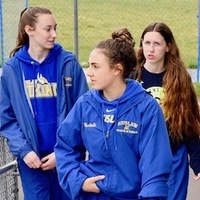 "As a whole, the girls are eager to get to playing games again," O'Mara said. "The challenge of those opponents only amps up the opportunity to continue our growth and development." 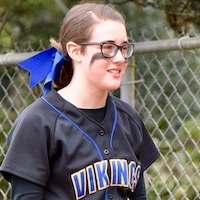 It's been a struggle this spring for Lady Vikings, who are 0-6 with three rainouts. Adding to the gloom has been the usual spring ailments. "Sickness is still a problem as it courses its way through the athletes," O'Mara said. "But we are managing day-to-day, coaching the athletes coming to practice." There has been a bit of a silver lining for the Lady Vikings. "We are getting healthier at the moment," O'Mara said, "with it looking like Hayley Meier might be eligible to return to play this week." Better health and weather will be welcome as Siuslaw takes on a loaded Sky-Em League. "The league will be a challenger," O'Mara said. "Four of five opponents in the new league participated in the state playoff format last season. "And three of those teams are currently ranked in the top eight of the state RPI ratings." Marist is 7-1 and ranked No. 4, Junction City 7-2 and ranked No. 2 and Elmira 6-2 and ranked No. 8. Marshfield is 3-5 and ranked No. 23, while Cottage Grove is 0-4 and ranked No. 32. Siuslaw is No. 33. The Lady Vikings entertain Junction City in a doubleheader at 3 p.m. Friday. Be there. But don't forget the umbrella.